With this document wallet, it is easy to store all of your loose documents, ensuring that your information remains secure. The thick card construction ensures that your documents are protected against damage and dirt, meaning that the wallets are perfect for use on the go. With an integrated pocket, it is easy to make sure that you can keep all of your highest priority work separate from general papers, speeding up retrieval. 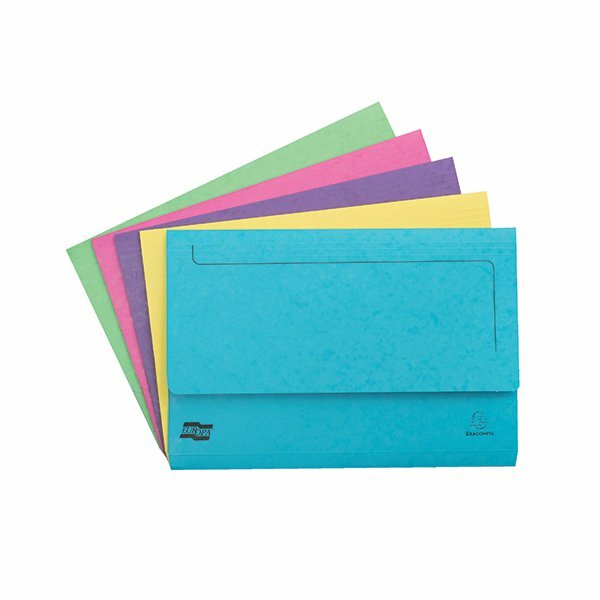 This pack contains 25 assorted (Assortment C) folders suitable for foolscap and A4 size papers.